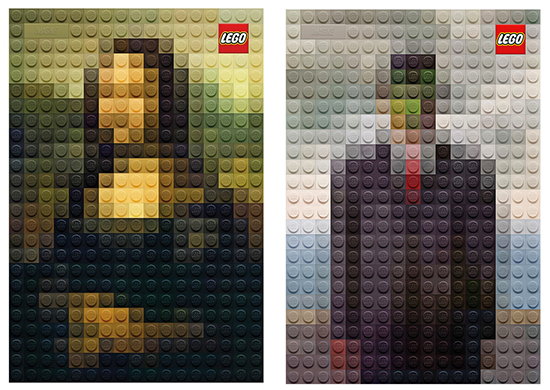 Italian artist Marco Sodano has been known for his work with the classic LEGO brick-building toy, including a recent campaign last November to recreate classic paintings and masterpieces with the colored bricks. Sodano has now followed up on his LEGO project with a new set of “paintings”, recreating works from artists like Van Gogh, da Vinci, Grant Wood, and René Magritte. 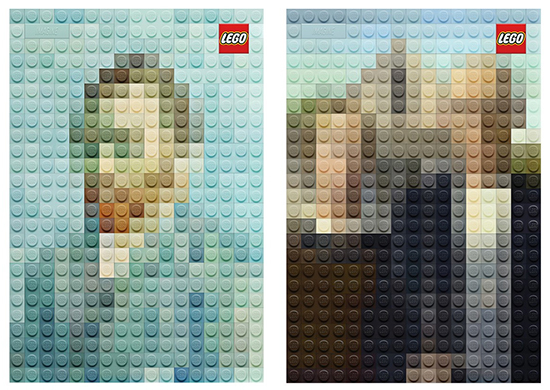 These LEGO works, which have been featured in LEGO’s most recent ad campaign by Geometry Global in Hong Kong, presents the paintings in small-scale, pixelated recreations which mimic the paintings accurately from afar. Wanting to inspire creativity in viewers both young and old, Sodano’s pieces breathe a new life into these classic masterpieces.